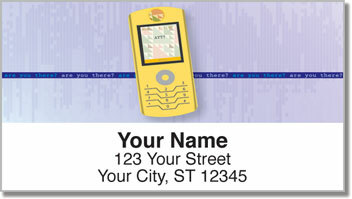 By the time you read this description, the phones illustrated on these colorful return address labels might be a bit outdated. Technology and style move pretty quick nowadays! Maybe you're just getting on board with the whole text messaging thing. Maybe you still prefer communicating the old-fashioned way. There is certainly something special about receiving a letter instead of an abbreviated text. It may take longer to get there, but opening the envelope and reading a note someone took the time to write to you is a great feeling. 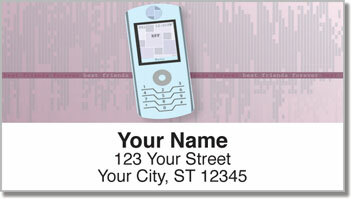 Text Message Address Labels are somewhat of ironically humorous statement. 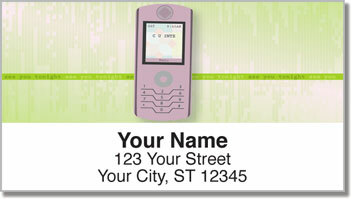 But they'll add color to your outgoing mail while saving you some time! Just peel and place thanks to a self-adhesive backing. 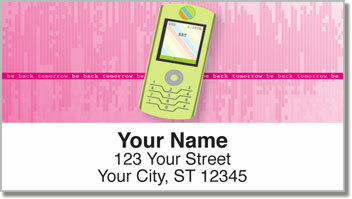 Get your own Text Message Address Labels now! Order them with matching checks.